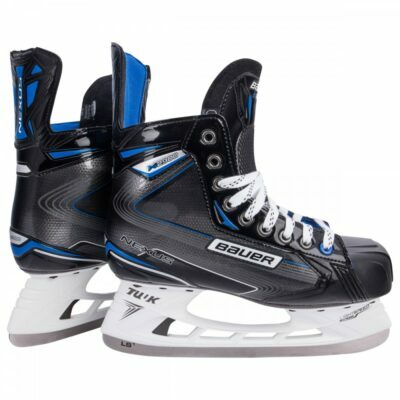 The Bauer Supreme S29 Skates are a great fit for the advanced skater looking for a high-performance boot at an affordable price. Bauer’s new Fiber Composite is lighter and more responsive than the Tech Mesh of the past, the cherry on top is that it provides a better anatomical fit thanks to the updated 3D-injection process. Fiber Composite can also be found in the TPU outsole to promote better torsional stability, which results in more energy transferred through each stride. 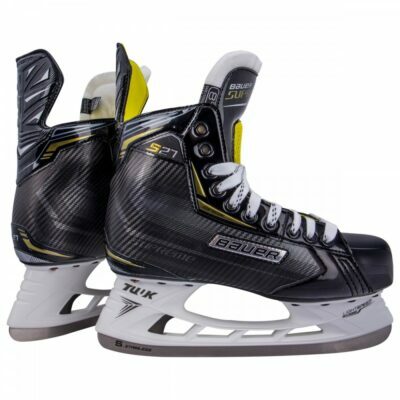 The NHL’s most popular holder, called the Tuuk LightSpeed Edge, connects to the outsole and holds LS1 Edge stainless steel runners. 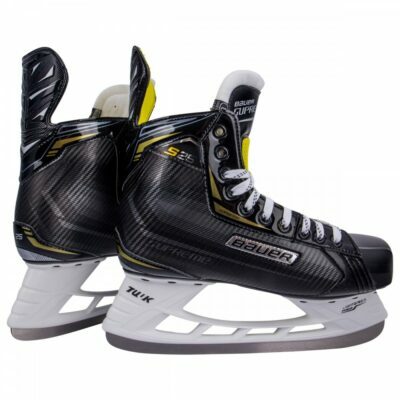 These have a polished finish to improve glide and adds a rich look to the skate too. 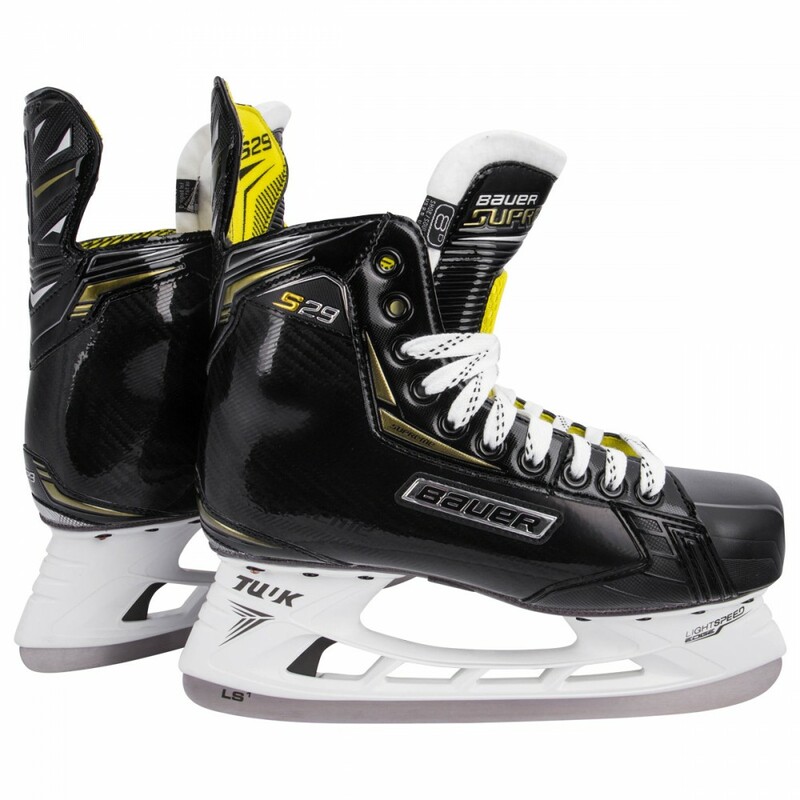 Inside of the S29 skate, Bauer used a premium Hydrophobic Microfiber Grip Liner that does a solid job managing-moisture and keeping the foot stable inside the boot. While the 48oz, two-piece white felt is a gold standard at this price point, Bauer upped the ante with plastic and high-density foam reinforcement. 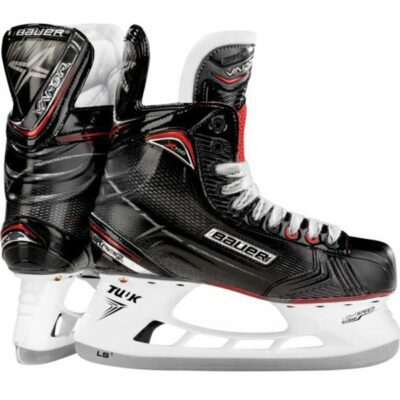 This provides a big jump in protection from impacts and lace-bite for the top of the foot but Bauer’s strategic design still allows for great forward flex.